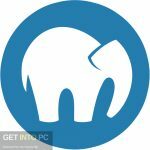 MantisBT Free Download Latest Version setup for Windows. 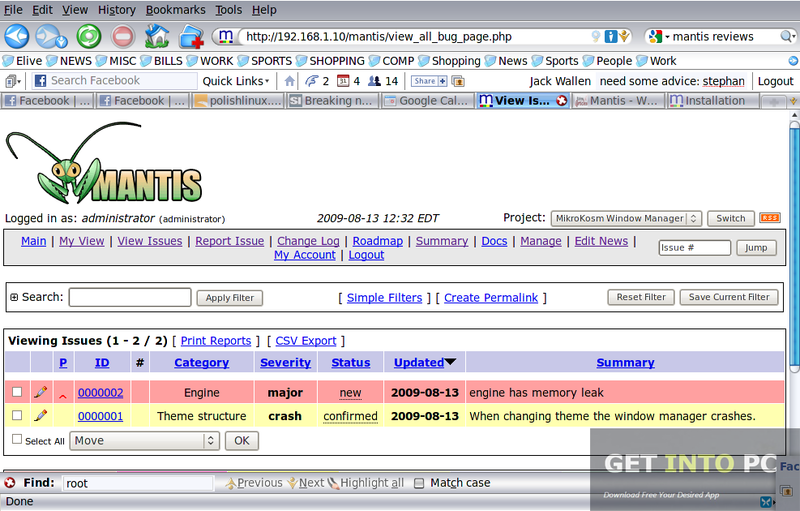 It is full offline installer standalone setup of MantisBT Bug Tracking Software for 32/64 Bit PC. 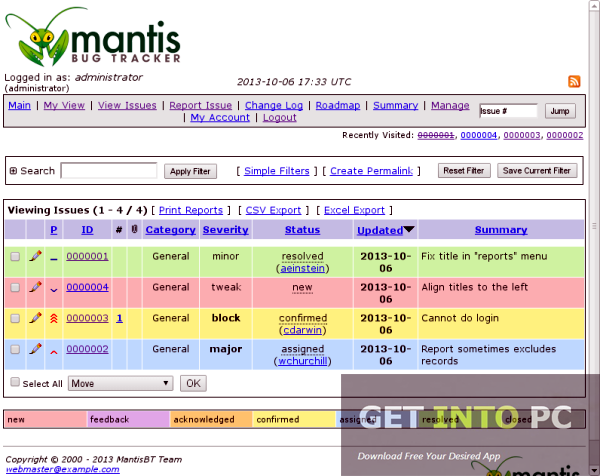 MantisBT is a bug tracking system which is written in php and uses MySQL. This tool can be installed in UNIX, Mac and Windows etc. If you are creating your own software and has your own website then you need to track down all the issues that are related to your software. 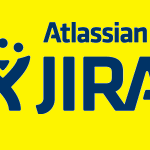 That’s where you will be in need of bug tracking tool. 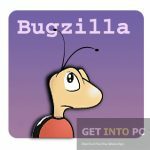 You may find out many bug tracking tools out there but either they are complex to use or complicated to install into the system but MantisBT is 180° opposite to all of them and is very easy to install as well as easy to use. The name and the logo of MantisBT has been derived from a family of insects that tracks and feeds on other insects called Mantidae. 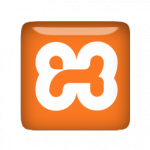 MantisBT not only tracks the bugs but also includes a user system where multiple users can interact with each other and multiple projects can be easily tracked. It ca support whole projects or sub projects and you can also track any specific category as well. Bug reporting in MantisBt is very easy and simple. A simple form will pop up by default which can be filled easily. For more advanced users advanced report can also be accessed which has product fields in it and many more. 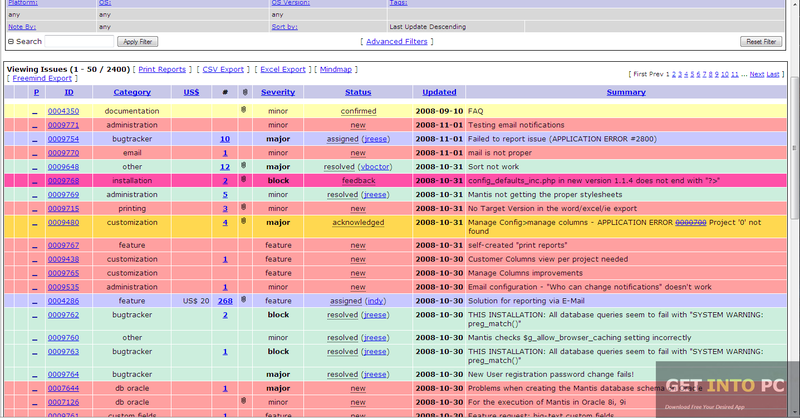 All in all MantisBT is a very handy tool which is simple and tracks bugs efficiently. You can also generate bug reports easily. Below are some noticeable features which you’ll experience after MantisBT free download. Easy and simple bug reporting. 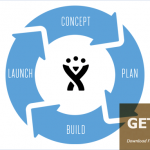 Can support projects, sub projects as well as categories. Before you start MantisBT free download, make sure your PC meets minimum system requirements. Click on below button to start MantisBT Free Download. This is complete offline installer and standalone setup for MantisBT. This would be compatible with both 32 bit and 64 bit windows.